ROSLYN, NY (February 1, 2018) – Rallye Acura has earned the prestigious 2017 Precision Team Award, which is Acura’s highest honor for outstanding dealership performance. In order to win this award, a dealership must deliver exceptional results in the areas of customer service, sales and service performance, facility and finance.“Our team is committed to building long-term relationships with customers and their families because a purchase with us means you are part of the Rallye family,” said Jay Rosenthal, Dealer Manager who has been in the automotive industry since 1984. 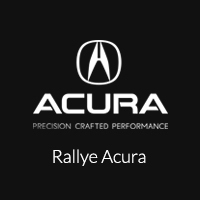 Rallye Acura carries the full line of performance luxury Acura vehicles including the ILX sport sedan, the TLX performance luxury sedan, the five-passenger RDX crossover SUV and the seven-passenger MDX, America’s all-time best-selling three-row SUV. With a large selection of new and certified pre-owned vehicles, it’s easy to make the right decision when choosing a vehicle that fits your lifestyle. Jay Rosenthal and the entire Rallye Acura team would like to extend their appreciation to their customers for giving them the opportunity to earn their business and demonstrate their commitment to customer service. We invite you to come see what makes Rallye Acura an outstanding dealership by visiting us on Northern Boulevard in Roslyn, New York or online at RallyeAcura.com.